The Association of Southeast Asian Nations (ASEAN) is an international organization. On 8th August 1967, Malaysia, Thailand, Indonesia, Singapore, and the Philippines formed the ASEAN. At that time, communism was growing in Vietnam, and these five countries were also facing problems inside their countries. 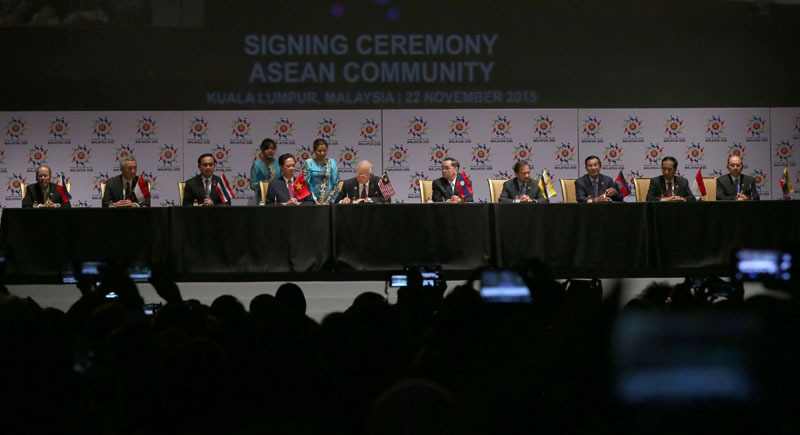 In this background, these five countries created ASEAN as a show of common display of cooperation. In short, the purpose of the organization is political and economic cooperation. There was an earlier organization. Its name was the Association of Southeast Asia (ASA). It was an international organization of Philippines, Malaysia, and Thailand. These three countries had formed ASA in 1961. It is named because all the countries in it are a part of Southeast Asia. In 1976, ASEAN countries held a conference in Bali. After this, these countries started closer economic cooperation. But, by the mid-1980s, the activities of the ASEAN had slowed down. By 1991, Thailand proposed a free trade area. The ASEAN countries meet annually to discuss many matters. The ASEAN countries had created an ASEAN Regional Forum (ARF). 27 countries are members of the ASEAN Regional Forum. The leaders of these countries meet and discuss various matters, especially security and economic cooperation. The current members in the ARF are: Malaysia, Thailand, Indonesia, Singapore, Philippines, Vietnam, Brunei, Laos, Myanmar, Cambodia, Australia, Canada, the People's Republic of China, the European Union, India, Japan, North Korea, South Korea, Mongolia, New Zealand, Pakistan, Papua New Guinea, Russia, Timor-Leste, United States, and Sri Lanka. Association of Southeast Asian Nations Facts for Kids. Kiddle Encyclopedia.